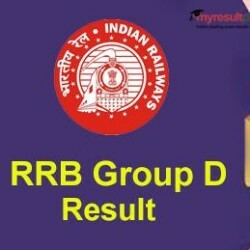 RRB Group D Result 2018 update: Railway Recruitment Board Exam (RRB) is expected to announce the RRB Group D Result 2018 tomorrow i.e. February 13, 2019. According to reports, RRB Group D Result 2018 is likely to release on February 13, 2019. Step 1: Visit the official website i.e. rrb.gov.in/ regional websites. Step 2: Go to the link that mentions Downloading Group D Result 2018 (link not yet active).